There were 16 percent fewer U.S. fresh apples remaining to be shipped as of December 1st compared to a year ago, according to a new report from the U.S. Apple Association. Total fresh apples in storage totalled 103.3 million 42-pound cartons, down from 122.9 million cartons last year and 11 percent less than the five-year average holdings of 116.7 million cartons. Apples in storage for processing were off even more sharply, with 25.5 million cartons down 44 percent from a year ago and off 42 percent from the five-year average. As we near the halfway point of the Red River Valley fresh potato crop shipping season, marketers are pleased, especially when comparing this year to last year. The good fortune started early in the season when a heavy snow cover protected about 4,000 acres of unharvested potatoes from the very cold temperatures that settled in for a few days after the snowstorm. The color and quality of this year’s crop is excellent and supplies are much more manageable after a nearly 10 percent cut in fresh acres in the Red River Valley. Demand is strong. Big potato crop losses in Wisconsin and Canada has pushed more business to the Red River Valley. Last year’s biggest problem, without the doubt, was the truck shortage. 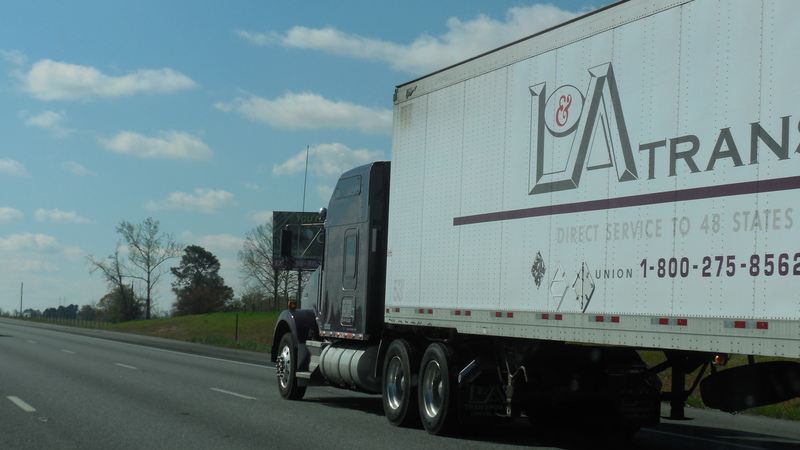 It was responsible for lost sales, higher freight rates, backed-up inventory which in turned caused falling prices and higher shrink later in the season. This year trucks have been much more available and nobody knows exactly why, but we are all hoping it continues through the second half of the season. The Star Group of Voorhees Township, is producing tomatoes in a new greenhouse facility in Culiacan, Mexico. The Big Taste brand roma tomatoes are entering the market the U.S. market through McAllen, Texas, and Nogales, Ariz., according to a news release. The company will be shipping the romas, beefsteaks, grape tomatoes and slicer cucumbers through the winter from the new Culiacan facility. Other Big Taste branded products from The Star Group in Mexico are tomatoes on-the-vine, grape tomatoes and Big Taste berries. June 1st the amount of fresh granny smiths remaining in storage stood at 2.12 million cartons, down a whopping 54 percent from the same time last year and 45 percent from two years ago. 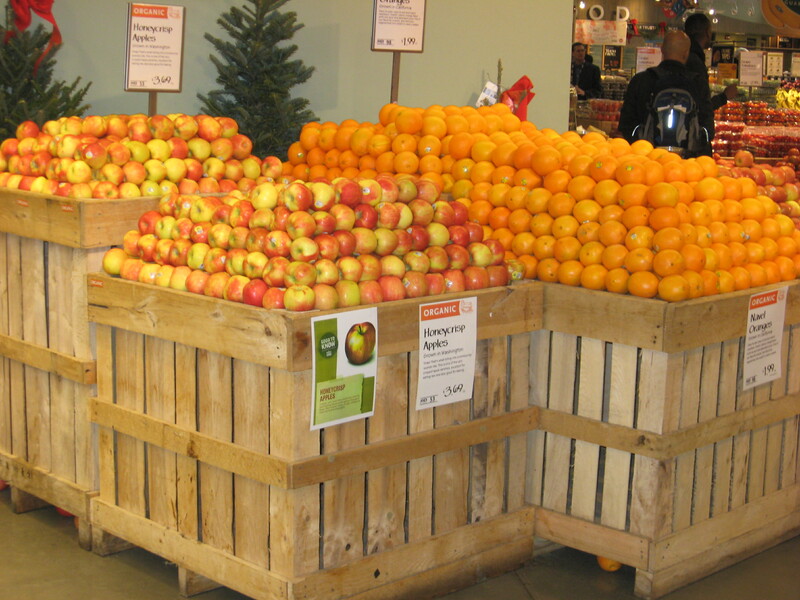 Meanwhile, other U.S. fresh market apples being held in storage on June 1st were up 12 percent over year-ago levels and 5 percent greater than the five-year average, according to the last monthly report from the U.S. Apple Association this season. The granny smith volume in the U.S. was short from the start of the crop year, but the gap compared with last year was not as far. The first storage report of the season from U.S. Apple, issued on November 1st, showed there were 13.78 million cartons of granny smiths to be hauled, off 12 percent from the 2015 November 1 figure. The apple industry had shipped about 85 percent of the granny crop by early June, compared with 73 percent shipped at the same time last year. New crop granny smith is expected to get underway around October 1st. California granny smith loadings will begin by mid- to late August. In the 2015-16 season, California shipped about 443,000 cartons of granny smith apple, about 25 pecent of the state’s total fresh apple shipments. Chilean packers are pretty much finishing up granny smith apples now, with sporadic controlled atmosphere rooms expected to open as late as July or early August. Some Chilean granny smith shipments have experienced bruising and bitter pit issues this year. Yakima Valley, WA apple and pear shipments – grossing about $4200 to Chicago. Total fresh U.S. apples remaining in storage as of June 1st was 25.4 million cartons, 12 percent above the same time a year ago but 15 percent lower than two years ago. The U.S. Apple Association plans to release the 2017-18 crop estimate August 25th, and the first storage report for that crop will be issued in early November. Washington state apples accounted for 24.03 million cartons (95 percent) of total U.S. fresh apple holdings on June 1st. Falls Church, VA – Beyond everyday convenience and the wide range of varieties and apple products to choose from, apples also pack a nutritious punch, providing a daily dose of health benefits. Studies by the Arthritis Foundation found evidence to support claims that eating apples on a daily basis may lower levels of cholesterol as well as C-reactive protein (CRP), a key marker of inflammation in the blood. Female participants who ate apples every day for six months saw lower LDL cholesterol levels by 23 percent as well as a 32 percent decrease in CRP (Arthritis Foundation, 2016). University of Denmark researchers discovered apples and apple products could boost intestinal health by increasing the numbers of good gut bacteria. The friendly bacteria in the intestines feed on pectin, a fiber found abundantly in apples (BMC Microbiology 2010, 10:13). Some cardiologists argue that statins do more harm than good, especially for those who do not already have heart disease. Instead, people would benefit from eating an apple a day to prevent heart attacks, strokes and other vascular diseases (BMC Medicine, 2016 14:4). A National Institutes of Health study reports that foods rich in fiber and flavonoids, found abundantly in apples, may reduce chronic productive cough and other respiratory symptoms (Am. J. Respir. Crit. Care Med, 2004, 170: 279-287). An Ohio State University study found that eating an apple a day for four weeks lowered blood levels of oxidized LDL, the bad cholesterol, by 40 percent. A University of Florida study found eating two apples a day reduced LDL by 23 percent (Journal of Functional Foods, 2013). A study published in the November 2010 online edition of the American Journal of Clinical Nutrition suggests that older women who eat plenty of fruits, including apples and apple products, along with vegetables and whole grains, may have a lower chance of bone fractures than those not getting their fill. Apples are a great source of vitamin C, which helps repair body tissue and provides antioxidants. According to the USDA National Nutrient Database, a large apple contains about 10.3mg of vitamin C, nearly 10 percent of the daily recommended dose. Research from the University of Massachusetts-Lowell suggests eating apples and drinking apple juice can be beneficial when it comes to improving brain health and diminishing symptoms of Alzheimer’s disease. With a balanced diet, apple and apple juice consumption may protect against oxidative brain damage that can lead to memory loss. A natural compound found in the apple’s skin, called ursolic acid, may help prevent muscle wasting that can result from aging and illness (Cell Metabolism, 2011, 13 (6): 627-638). Research from the United Kingdom reports children of mothers who eat apples during pregnancy are much less likely to exhibit symptoms of asthma at age five. Apples were the only food found to have a positive association with a reduced risk of asthma among a variety of foods consumed and recorded (American Thoracic Society, 2007). Apples are rich in antioxidants, especially quercetin, which have been identified to help inhibit cancer onset and cell proliferation. In one study, the more apples per day a person ate, the less likely he/she was to develop colorectal cancer. The anti-cancer effect was seen even when a person had a low total consumption of fruits and vegetables, but consumed at least an apple a day (European Journal of Cancer Prevention, 2010, 19(1):42-47). State University of Rio de Janeiro researchers studying the impact of fruit intake on weight loss found that overweight women who ate the equivalent of three apples a day lost more weight on a low-calorie diet than women who didn’t eat the fiber-rich fruit (Nutrition, 2003, 19: 253-256). Furthermore, researchers at Harvard University found a higher intake of foods rich in flavonols, flavan-3-ols, anthocyanins and flavonoids, all of which are found in apples, was associated with less weight gain among adults and may contribute to the prevention of obesity. For more information on the health benefits of apples and apple products vist, USApple.org. Fresh apples are the No. 1 fruit consumed by children. A new study, called Fruit Consumption by Youth in the United States, published in the online journal Pediatrics, surveyed more than 3,100 youth from ages two to 19 years, examining fruit consumption and differences by age, gender, race and poverty status. The study found that nearly 90% of total fruit intake came from whole fruits (53%) and 100% fruit juice (34%), according to the study. Apples, apple juice, citrus juice and bananas make up about half of total fruit consumption, according to the study. Fresh apples accounted for 18.9% of total fruit consumption among children, according to the study, and apple juice accounted for about 10%. Brannen said the study, which has been covered by dozens of media outlets since it recently came out, will encourage families to consume more apples. The study said apple juice accounted for 16.8% of fruit consumption for children ages two to five years, but that fell to 8.8% for children six to 11 years old. 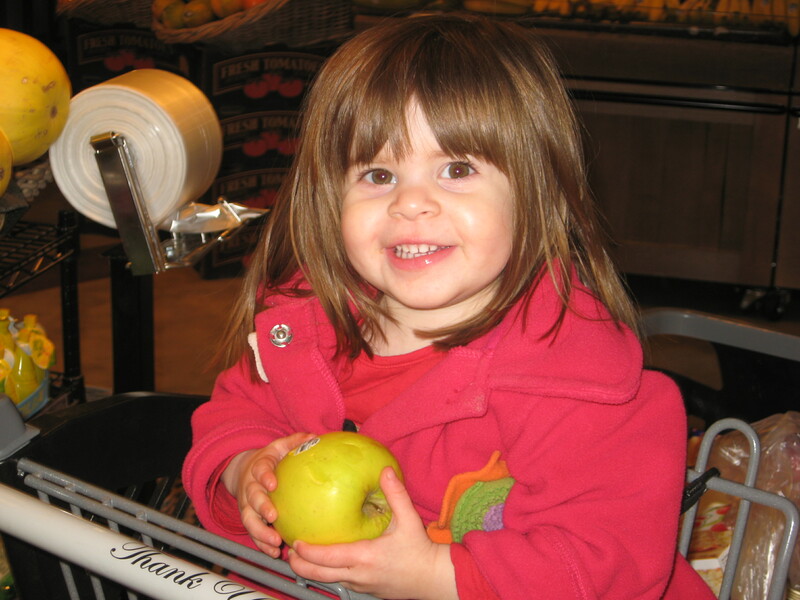 On the other hand, fresh apples represented 22.4% of fruit consumption for children six to 11 years old, but just 8.8% of total fruit consumed for two- to five-year-olds. 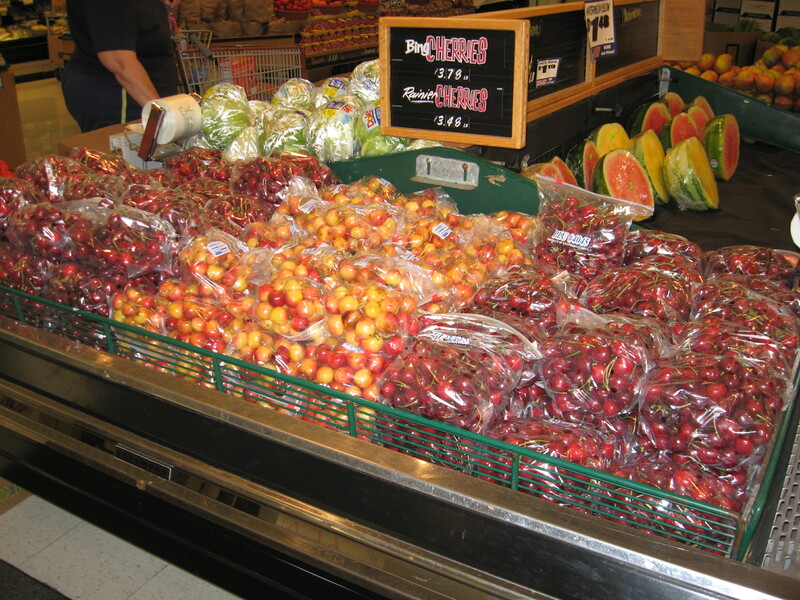 Vienna, VA – Apples routinely top grocery lists for a variety of tasty reasons. Beyond the plethora of varieties and apple products to be enjoyed, apples pack a nutritious punch, providing a daily dose of health benefits. Researchers from Cornell University found that apple nutrients protected brain neurons against oxidative damage. Such damage can contribute to neurodegenerative diseases, such as Alzheimer’s and Parkinson’s. The study highlighted the antioxidant quercetin as a principle compound responsible for the protective effect (Journal of Food Science, 2004, 69: S357-S360). A University of Massachusetts-Lowell clinical trial showed that drinking apple juice significantly improved mood and behavior among a group of patients diagnosed with moderate-to-severe Alzheimer’s disease. Cornell University research also suggests that quercetin may be the compound in apples that protects brain cells against oxidative stress associated with Alzheimer’s. An Ohio State University study recently found that eating an apple a day for four weeks lowered blood levels of oxidized LDL, the bad cholesterol, by 40 percent. A University of Florida study found eating two apples a day reduced LDL by 23%. Research from the United Kingdom reports children of mothers who eat apples during pregnancy are much less likely to exhibit symptoms of asthma at age five. Apples were the only food found to have a positive association with a reduced risk of asthma among a variety of foods consumed and recorded (Thorax, 2007, 62:745-746). University of Denmark researchers discovered apples and apple products could boost intestinal health by increasing the numbers of good gut bacteria. The friendly bacteria in the intestines feed on apple pectin, a fiber found abundantly in apples (BMC Microbiology 2010, 10:13). State University of Rio de Janeiro researchers studying the impact of fruit intake on weight loss found that overweight women who ate the equivalent of three apples a day lost more weight on a low-calorie diet than women who didn’t eat the fiber-rich fruit (Nutrition, 2003, 19: 253-256). Adults who consume apples, apple juice and apple sauce are likely to have lower blood pressure and trimmer waistlines, resulting in a reduced risk of metabolic syndrome, a cluster of health problems related to diabetes and heart disease (Experimental Biology 2008 Poster (unpublished)). Soluble fiber, like apple pectin, may reduce the inflammation associated with obesity-related diseases and strengthen the immune system, according to a University of Illinois study (Brain, Behavior, and Immunity, 2010, in press/available online). Apples are rich in antioxidants, especially quercetin, which have been identified to help inhibit cancer onset and cell proliferation. In one study, the more apples per day individuals ate, the less likely they were to develop colorectal cancer. The anti-cancer effect was seen even when an individual had a low total consumption of fruits and vegetables but consumed at least an apple a day (European Journal of Cancer Prevention, 2010, 19(1):42-47). For more information or to read about additional studies on the health benefits of apples and apple products, visit www.USApple.org. The U.S. Apple Association (USApple) is the national trade association representing all segments of the apple industry. Members include 40 state and regional associations representing the 7,500 apple growers throughout the country, as well as more than 400 individual firms involved in the apple business. More information on the organization is available at www.USApple.org. Consumer purchases have moved apples ahead of bananas into third place in total retail sales, trailing only berries and packaged salad in the 52 weeks ending May 29, according to Steve Lutz, executive vice president of Nielsen Perishables Group. Lutz said apples showed the biggest retail sales growth of any top major produce category, rising about 16 percent over the previous year. Among the gains by various apple varieties with higher retail saies in the past year included pink lady, fuji, pinata, Honeycrisp, red delicious, ambrosia, Jazz, granny smith and gala, in addition to niche varieties such as Lady Alice, Envy, Opal and Junami. The best apple consumers are willing to spend on healthy foods and fresh meals, and convenience and price are not a key purchase driver, Lutz said. With the income to afford choice, consumers are looking for unique flavors are driven to the category in pursuit of health, he said. Despite challenges in the lackluster economy, Lutz said Nielsen data reveals fresh fruits showed an eight percent increase in retail dollar sales over the past year, accompanied by a 4 percent gain in volume. Produce is an increasingly important food choice for a majority of U.S. households. Only a few weeks ago if someone predicted there would be 21% more USA fresh-market apples in storage than the year before, you’d been considered a little nuts. The same goes are anyone predicted there would be nearly 130 million boxes of apples shipped this season, especially after year’s damage to apple crops in Michigan and New York. Washington state is on pace to ship 129.6 million boxes this season, shattering the previous record by more than 20 million boxes. Washington grower-shippers and officials knew they’d have a big crop, but not this big. Following July hailstorms, the estimate was in the 100 million to 110 million box range. Apparently the 2012 crop is no fluke. It seems every five to seven years, apple shipments have jumped to another level. In recent years loadings were in the 100- million to 109-million box range. Prior to this there were years where shipments settled into the 80-million box volume. For the 2013-13 season, observers are already talking about shipments being in the 120-million box range. In other words, loadings hitting 120-million boxes is expected to become the new standard. Apple shippers in Michigan and New York are expressing optimism about a big comeback from a disastrous freeze killing 2012-13 season that wiped out about 85% of Michigan’s crop and 52% of New York’s. Early variety apple shipments are expected to get underway around the third week of August. Washington state apples – grossing about $6600 to New York City. Apple shipments will remain good through the remainder of the season (late July) as about 36 million bushels of fresh-market apples, mostly in Washington state, remain in storage for shipping. This is about 21% more than last year at the same time. The 21% figure also represents how many more apples remain to be shipped compared to the 5-year average. Less than 1 million bushels of apples remain to be hauled from other states besides Washington. There was more fruit remaining in storages for all major apple varieties to be shipped compared to last year at this time. 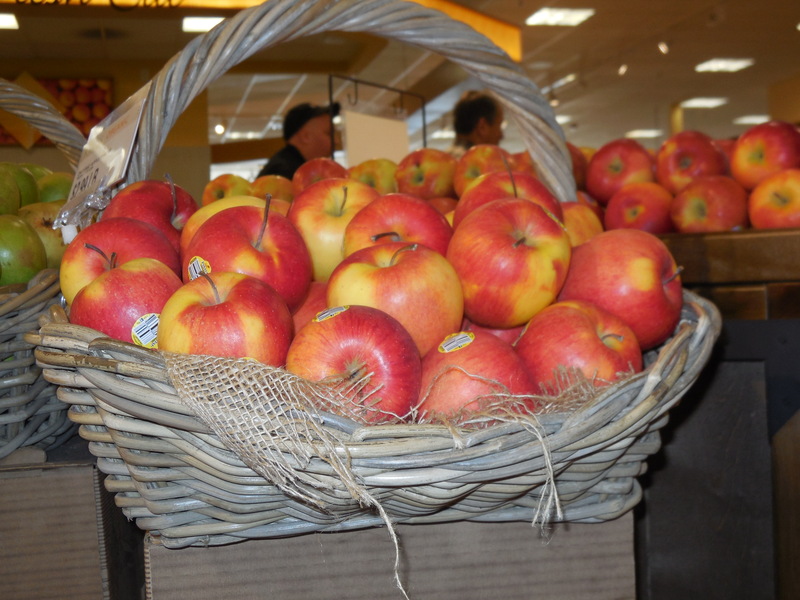 Washington state apples – grossing about $6500 to New York City. While watermelon shipments in Florida got underway in early May, it will be the end of the month before there is decent volume. Weather and disease factors will reduce Florida melon loading opportunities this season…Both Texas and Arizona are loading watermelons, with good volume not arriving until around the Memorial Day weekend (May 25-27). Looking ahead to the Northwest, Walla Walla, WA growers have planted approximately 600 acres of the Walla Walla sweet onions this year, down slightly from the 2012 season. Sweet onion shipments should get going around mid-June and running through mid-August. In total, Washington state last year shipped non-storage onions from about 2,500 acres, up slightly from 2011. Idaho continues trying to shed itself of another mammoth crop of russet potatoes. The state is averaging nearly 1,700 truckload equivalents of spud shipments weekly, although a significant amount of this is moving by rail….Second heaviest potato shipments are currently coming out of the San Luis Valley of Colorado, where about 575 truckload equivalents are moving each week. San Luis Valley potatoes – grossing about $1700 to Dallas. 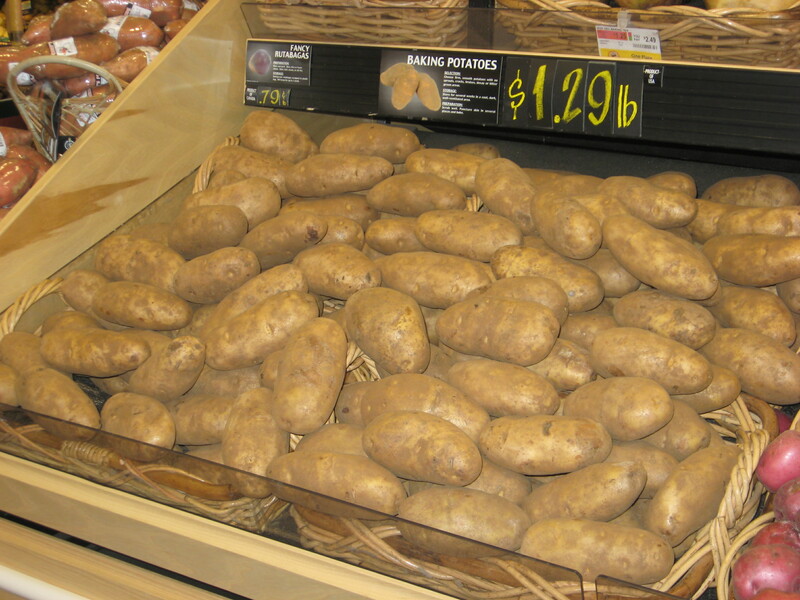 Idaho potatoes – about $5525 to Boston.